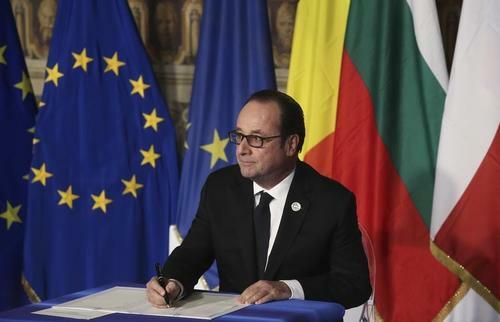 Reuters UKDitching the euro to return to the franc would harm the purchasing power of the French, President Francois Hollande and central bank governor Francois Villeroy de Galhau said on Saturday, in tacit warnings against the National Front. 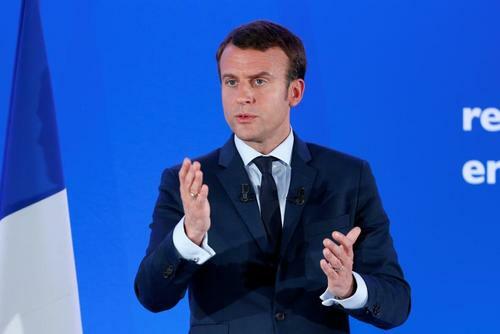 Reuters UKThe leaders of France and Germany must use the window of opportunity that opens up after elections in both countries to inject new momentum into their single currency project or risk its failure, a leading French think tank warned on Monday. 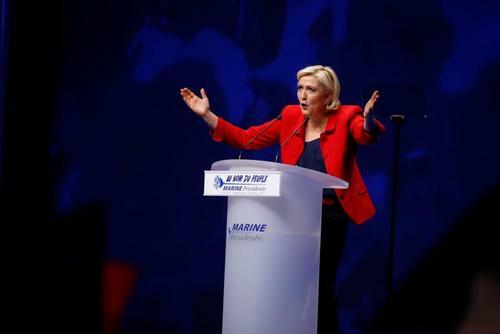 Reuters UKFrench far right presidential candidate Marine Le Pen said on Monday she had yet to secure all the funding she needs for her election campaign with less than four weeks to go before voting begins. 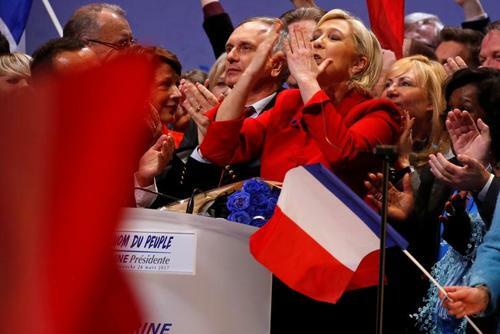 Reuters UKThe European Union will disappear, French presidential candidate Marine Le Pen told a rally on Sunday, promising to shield France from globalisation as she sought to fire up her supporters in the final four weeks before voting gets underway. 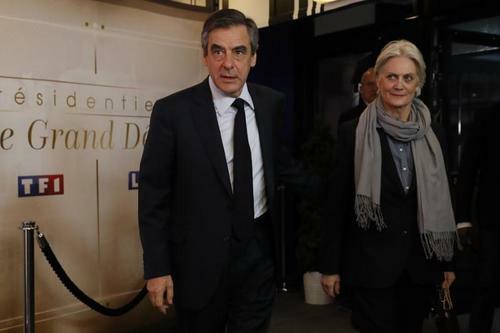 Reuters UKThe faltering campaign of French presidential candidate Francois Fillon suffered another setback on Tuesday when magistrates placed his wife under formal investigation over allegations that he paid her for a fake parliamentary job. 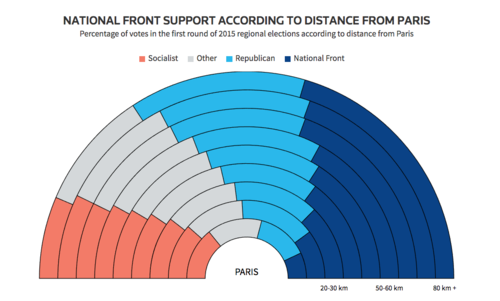 Reuters UKFrancois Hollande's election as president in 2012 was supposed to herald a new dawn for French socialism after 17 years of right-wing rule, but by June his party could be struggling to survive. 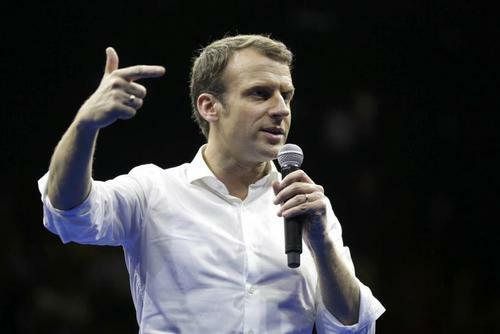 Reuters UKFrench former Prime Minister Manuel Valls said on Wednesday he would vote for centrist candidate Emmanuel Macron rather than the Socialist contender in France's presidential election. 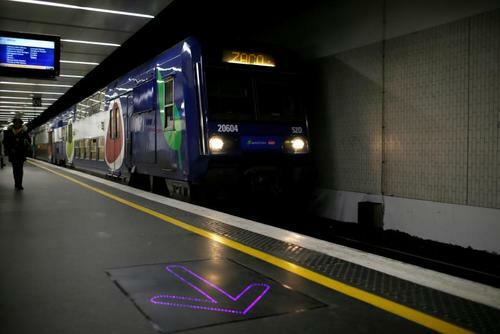 Reuters UKA 90-minute train ride from the Gare de Lyon station in Paris traces a political gulf between big-city voters and the rest, a divide that has shaken up Britain and the United States and has an outside chance of doing the same in France's upcoming vote. Reuters UKFrance's conservative presidential candidate on Friday dismissed as "fantasy" concerns that Russia could be interfering in the election and said he would seek a better balance in relations with a country that was nevertheless "dangerous". 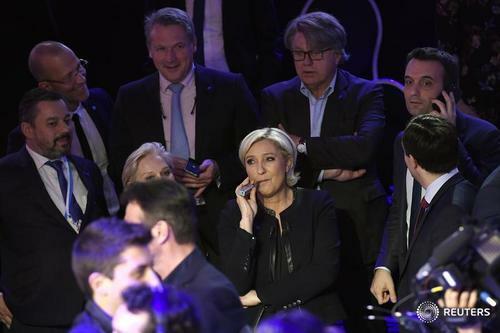 Reuters UKFrom bank runs to credit crunches, regulators and investors are asking French banks about their preparations for any market ructions that might be caused by Marine Le Pen faring better than expected in the presidential election, banking sources said. 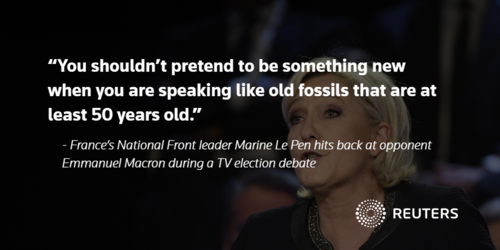 Reuters UKInvestors will not pull their money from France if it leaves the euro, according to Marine Le Pen, the far-right presidential candidate who pledges to call a referendum and restore the national franc currency if elected. 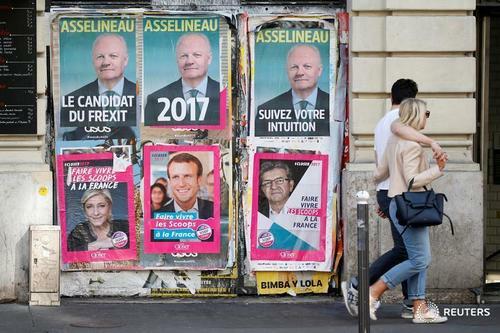 PARIS, April 4 (Reuters) - Asian investors are waiting for the result of the French presidential election in May before increasing their exposure to European equities, Credit Suisse strategists said in a research note on Tuesday. "While investors seem to have become increasingly comfortable with the European story, many are waiting for the French elections before increasing their exposure to Europe," the Credit Suisse team said in a note published after the Swiss bank held an Asia investment conference in Hong Kong. 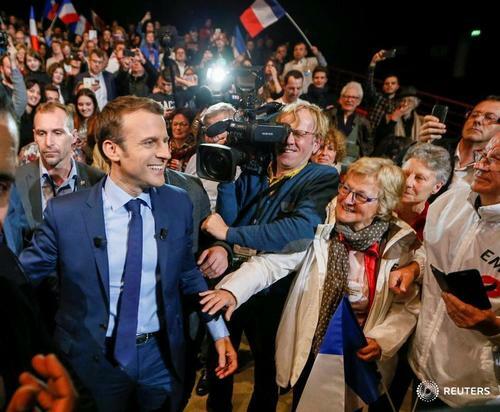 French stock and bond prices have rallied over the last month on growing signs that centrist candidate Emmanuel Macron will win the election, although some investors remain concerned by the relative popularity of anti-euro, far-right National Front leader Marine Le Pen. France's benchmark CAC-40 equity index is up by around 5 percent so far in 2017, broadly in line with a similar gain on the pan-European STOXX 600 index. 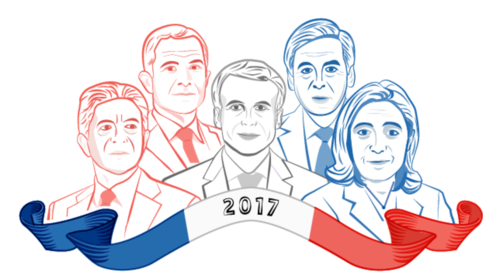 A combination picture shows the eleven candidates for the French 2017 presidential election who will participate in a televised debate. Click to see larger version of graphic. 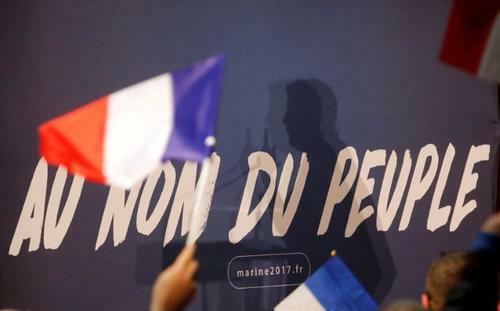 PARIS, April 4 (Reuters) - A French prosecutor is investigating the far-right National Front party's activities on a regional council in northern France, a judicial source said after a newspaper report that the probe relates to fake job allegations against a senior party official. 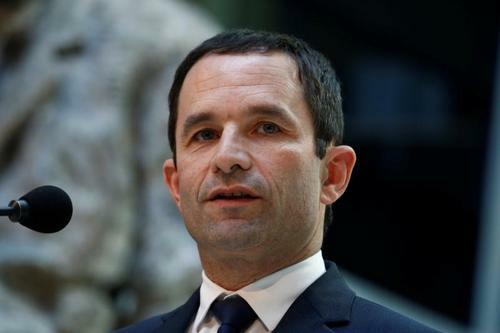 According to the Canard Enchaine satirical weekly newspaper, the preliminary investigation by the Lille prosecutor targets David Rachline, campaign director to the party's leader and presidential candidate Marine Le Pen. 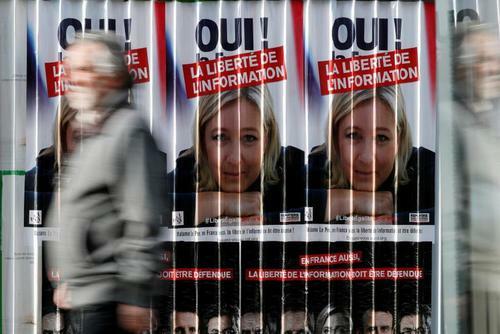 ReutersAline Dugravot is in a bind over whether to vote for Marine Le Pen in France's presidential election: she likes the National Front leader's anti-immigration message, but also likes the EU and the euro currency, which Le Pen wants to abandon. 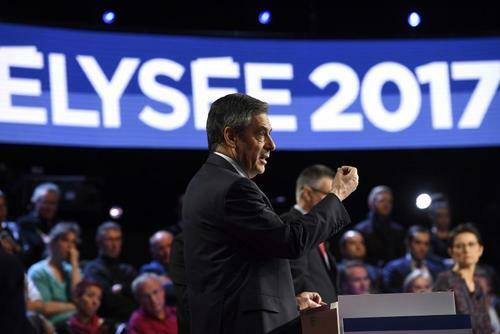 Reuters UKFrench presidential candidates Francois Fillon and Marine Le Pen came in for stinging attacks from left-wing election rivals over police investigations against them during a televised election debate on Tuesday. 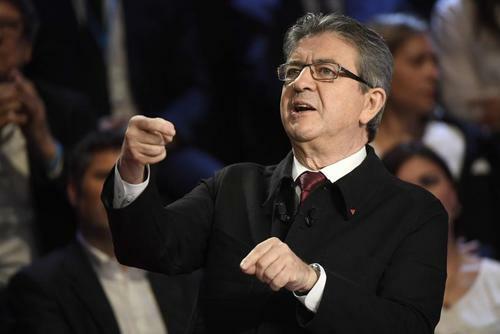 Reuters UKFirebrand leftist Jean-Luc Melenchon was found the most convincing performer by French viewers of Tuesday night's televised debate among the 11 candidates running in this month's presidential election, a snap poll showed. Factbox - Banks say a Le Pen win would be bad for European markets, but how bad? 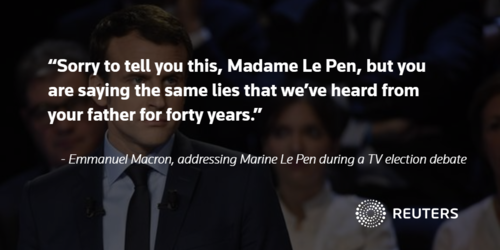 Reuters UKThe countdown to the next political event market participants are keeping a keen eye on - the two-stage French presidential election - has started. 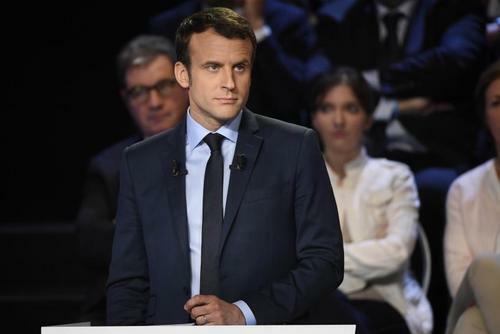 ReutersCentrist Emmanuel Macron kept his position as favorite to win France's presidential election after a televised debate on Tuesday night in which he clashed sharply with his main rival, Marine Le Pen, over Europe, just 19 days before the election. 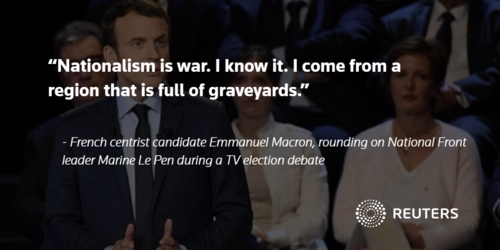 ReutersThe winner of France's presidential election debate this week was a fast-talking, maverick leftist whose policies would prove just as much a shock to financial markets as those of the more prominent leader of the far right. 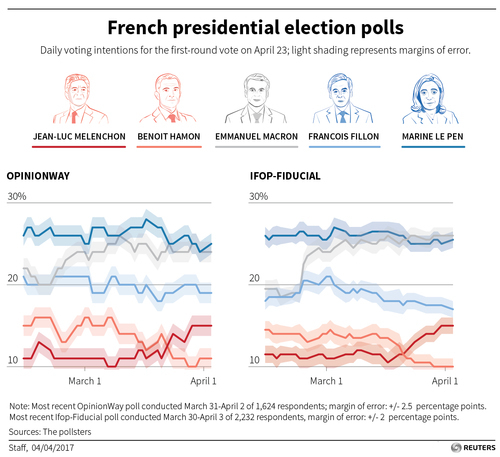 Reuters UKWith France's presidential election a potential banana skin-in-waiting for markets, forecasting sites that rely neither on voter surveys nor real-money betting are becoming a tool of choice for financiers and policymakers in search of an edge. 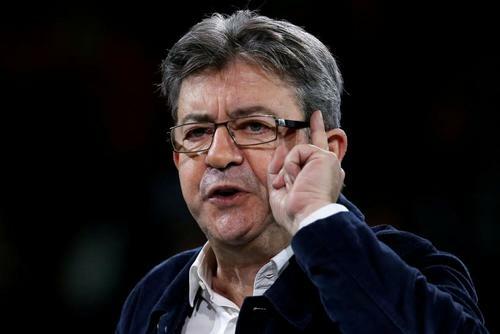 Reuters UKFar-left candidate Jean-Luc Melenchon is threatening to turn France's presidential election into a four-way race, the latest opinion polls show, confirming a surge of support for him after a strong showing in a TV debate this week. 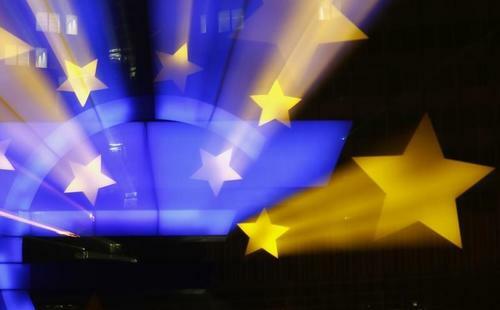 Reuters UKThe euro is likely to fall about 5 percent to near 15-year lows and close to parity against the dollar in the immediate aftermath should Marine Le Pen win the French presidency in May, according to foreign exchange strategists polled by Reuters. 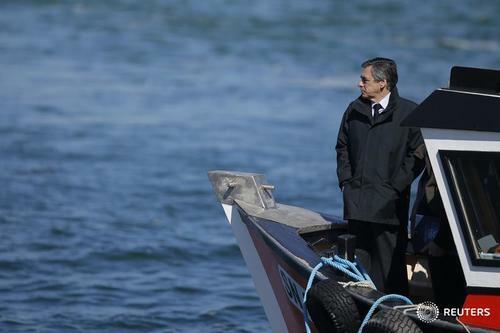 Reuters UKU.S. 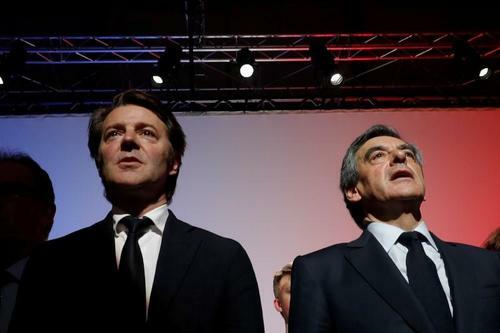 investment bank Citigroup said on Monday it had changed its baseline, or most probable, scenario for the French presidential election to a win for centrist Emmanuel Macron, compared to its earlier forecast of a victory for conservative Francois Fillon. 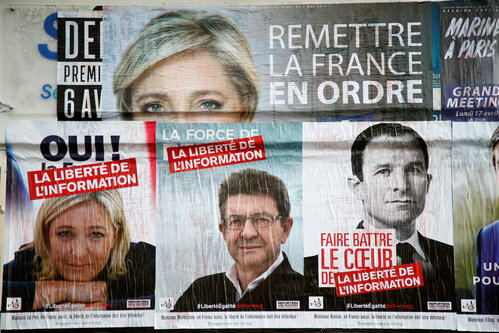 Reuters UKMarkets are weighing the odds asFrance prepares for its presidential elections this month, withfar-right, eurosceptic Marine Le Pen among the main contenders.